I've been out of the game for along time, my daughter has reached that age where she is now able to play and surprisingly she has really taken to it. Has really restarted my passion for airsoft and quality time with the little lady outside of playing with barbies haha. We live in southend, we have been to the hockley site good little fast paced cqb action and the Billericay site, mixed views on that one but is a nice site. Does anyone know of any other sites in and around the the essex area we could try. I'm not overly blessed with Google power and I have heard of other sites but can't find anything out about them. Any and all help would be appreciated thank you. 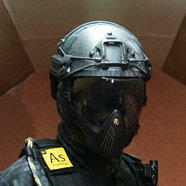 I hear word of a new CQB site opening near Braintree.. I'll let you know if that becomes closer to being a reality. Have you tried Sandpit? Not 'too' far from SE, and is awesome.